Selling artwork is important for many artists on ArtWanted and we want to always be working to improve the art buying experience. We are excited to announce several new upgrades to make it easier for buyers to purchase artwork/photos on ArtWanted. Most of these new upgrades apply to the Print-On-Demand program for our Premium Members, but there are also several upgrades for all members selling art through ArtWanted. 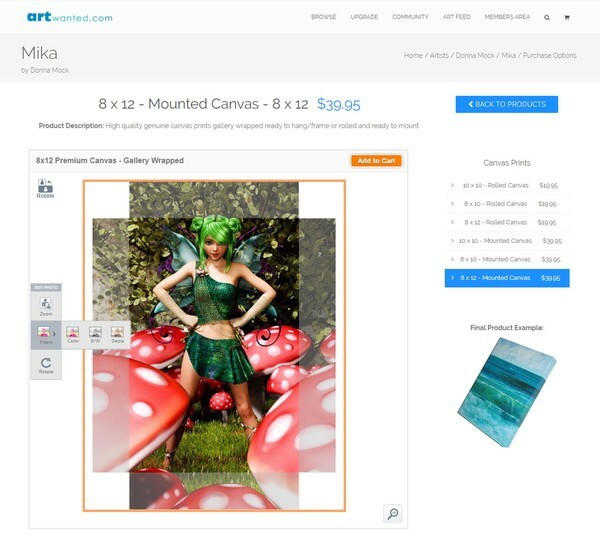 We have upgraded the technology used to provide product preview images and make adjustments to the prints/products purchased through ArtWanted. This new technology works on all major browsers, mobile devices and no longer requires Adobe Flash. Potential buyers can see exactly how the prints may be cropped and how the image will be placed on the product. Better yet, they can adjust the position of the artwork to fit exactly how they would like to see it on the final product. 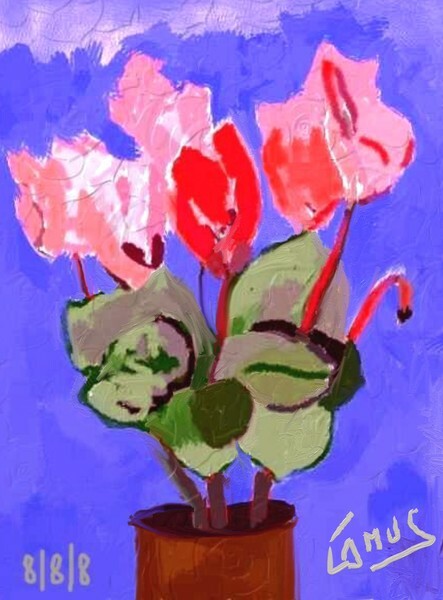 These changes give more control to the art buyer and more confidence when purchasing prints/products through the ArtWanted Print-On-Demand program. The process to buy artwork/photos on ArtWanted is now 100% mobile friendly. As people browse the ArtWanted.com website on their smart phone or tablet, they can now go through the entire purchase process from start to finish on their phone. Even the new product preview tool mentioned above is mobile friendly, so buyers can see a preview of what they are ordering and make any adjustments right on their mobile device. We have made several tweaks to the shopping process and user interface elements on the website to make it even easier to buy art. Some of these changes include: easier to read shopping buttons, text/color changes, additional shopping instructions, sorting of more popular products at the top of the page and more. We know these change will create a better shopping experience on ArtWanted and will lead to more art sales for our members. If you are not yet a Premium Member with our Print-On-Demand feature, we encourage you to check it out. This program allows you to instantly sell prints/products of your artwork and also get special discounted pricing when buying your own art prints. I am pleased to see we have some editing capabilities as far as placement of our image goes. I ordered a poster of my own art years ago and it was placed poorly in my opinion and this feature will ensure that this does not happen again...back then there was no way to know how your image would appear in the print. I have been hesitant to order more prints but now I think I will do a few to see how much it has improved. Adelle, thanks for sharing your feedback! You are not alone with your previous art purchase experience. Many buyers didn't like the default centering of the image or where the cropping appeared in the past, but now you see a real-time preview of how the final product will print. We hope you can try it again and see how the new system works. 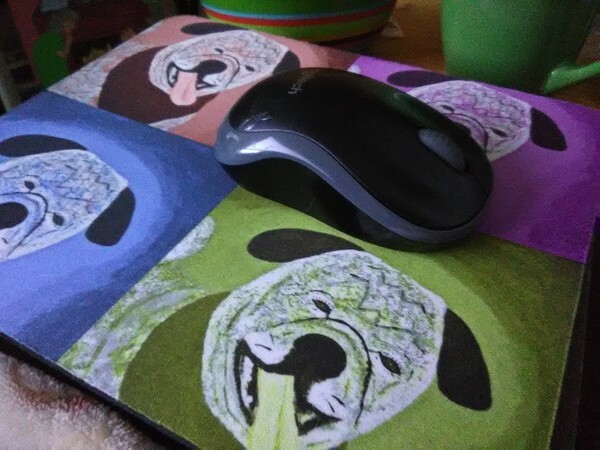 I ordered a mouse pad with the $10 credit and it came and I love it...the colors are great and the product is good. I will be ordering more products to sell in my Synagogue's gift store I think in a few months when the new gift shop opens....thank you ArtWanted devs....it was great to get a chance to see what kind of quality I can expect. I assure you I will be ordering more in the future as I can sell these easily to my fellow congregants. We Jews are always looking for nice Jewish products to reflect out Jewish Identity and pride and that is just what my art is all about. Thanks again. ADELLE - Thanks for trying out the print program and we are happy you liked the quality of our products. DEAR SHARON HAPPY BIRTHDAY !